This machine is a complete production line including cleaning, milling, packing and controlling systems. The raw material is wheat and the final product is super fine wheat flour for making bread, cake, biscuits and so on. Three sieves，two beating，two removing stone, three magnetic selecting ,one moisture temper. 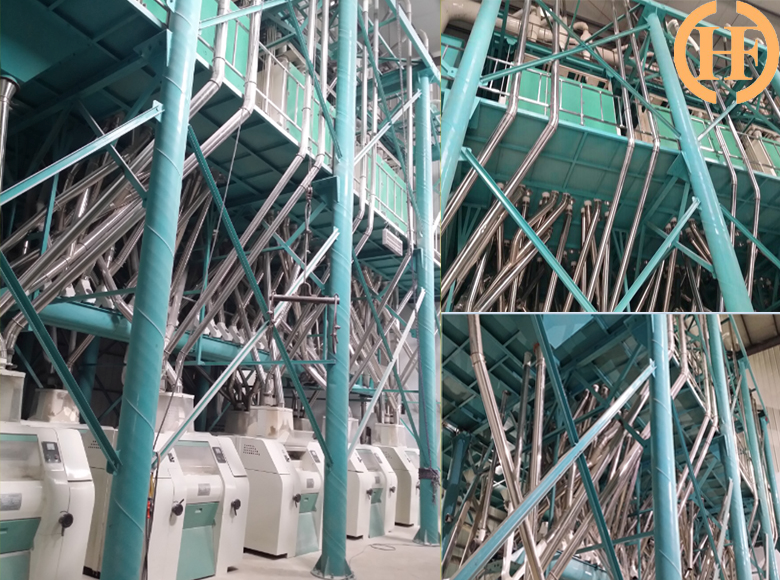 Six roller mills, five FSF J2*12*83 double sifter sieves, one FSFJ1*83 single sifter sieve make up of 4B, 6M, 1S and 2 bran brusher. Shijiazhuang Hongdefa Machinery Co.,Ltd is a professional maize and wheat flour milling machine manufacturer with over 30 years experience. We provide high quality machine from 5 to 500 ton per day with different design according to our clients needs, with European technology, South Africa maize process, China wheat process, roll out unique and innovative wheat flour mill and maize mill plant. The head office of Shijiazhuang Hongdefa Machinery Co.,Ltd is located 4 hours driving from Beijing, where we have approximately 100 employees, a manufacturing facility of 30000 square meters and 500 square meters of office space. More than 30 years experience in milling market. China and Australia wheat flour mill technology China and South Africa maize mill technology. 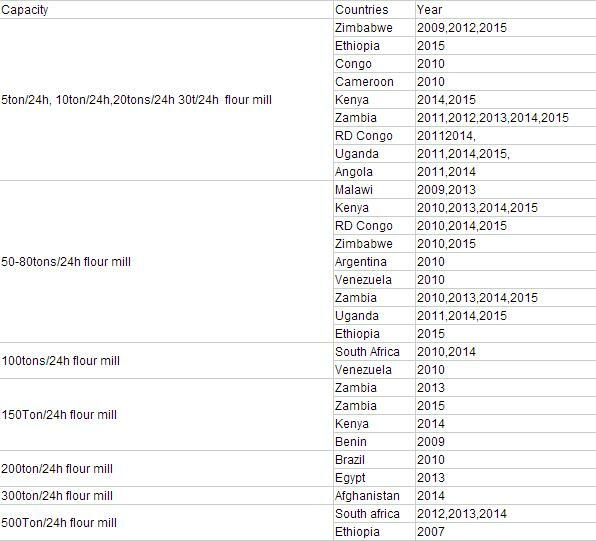 These are all the wheat flour milling machine certifications we have. 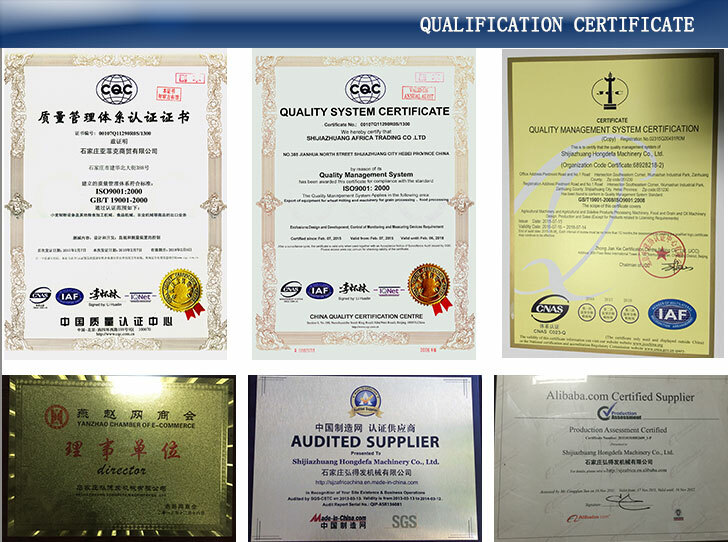 BV, CE, SGS, ISO9000 and any other certificate you require. 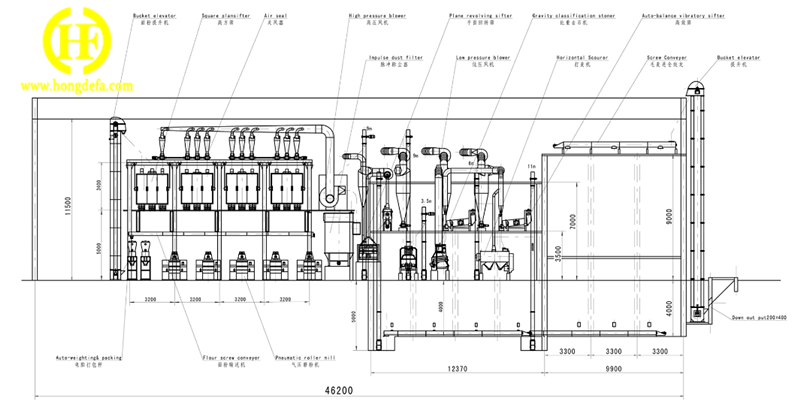 Where we have installed our flour milling machine? 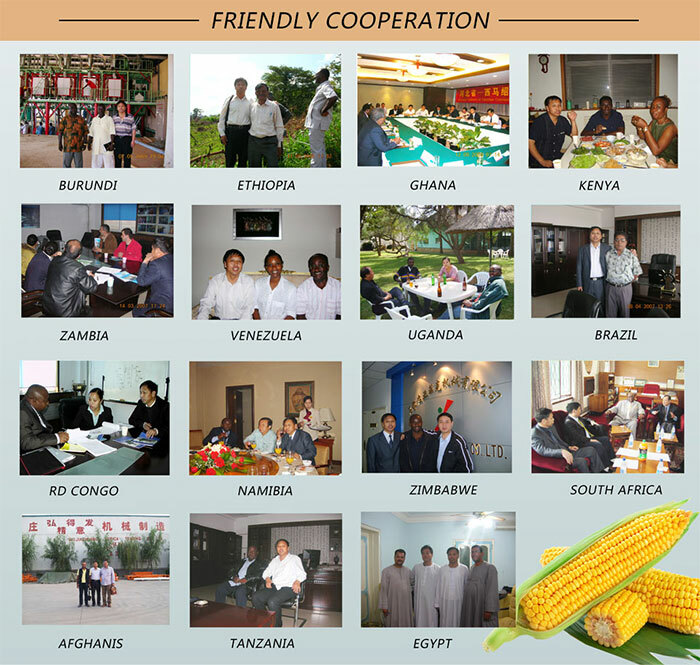 We have installed our maize and wheat flour milling machine in so many countries around the world, especially in Africa. 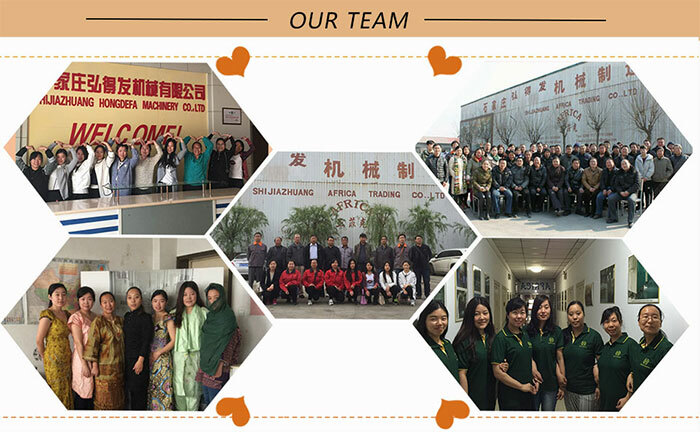 We Shijiazhuang Hongdefa Machinery Co.,Ltd is the one of the largest flour milling machine export company in China., who enjoys a good reputation. And the feedback from our clients are very good. Usually clients buy a small or middle capacity first, then after a few years they would like to buy a bigger capacity flour milling machine. 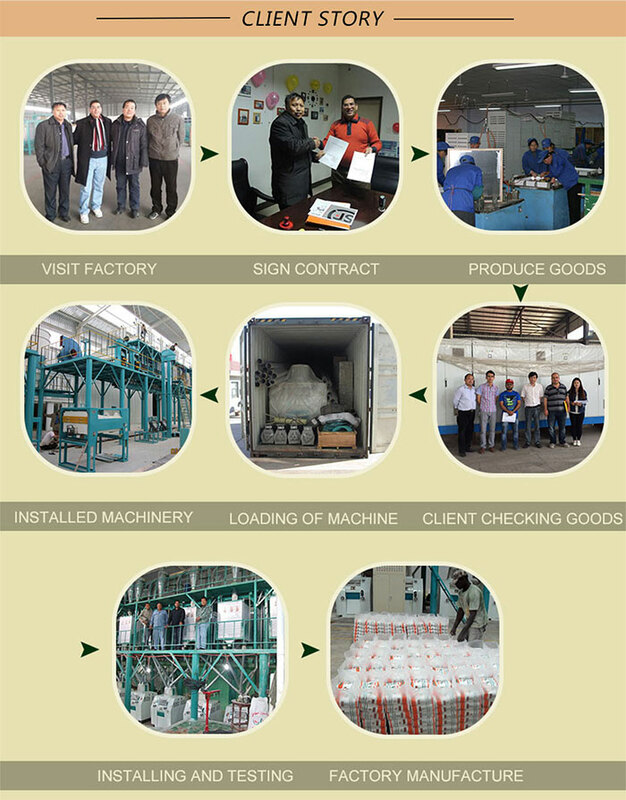 Egypt client buy the 60T/24h flour milling machine in 2007, then buy the 200T/24h milling machine in 2014. Brazil client buy the 80T/24h milling machine in 2009, then buy the 250T/24h milling machine in 2014. Zambia client buy the 50T/24h milling machine in 2013, then buy another 50T/24h milling machine in 2015. Product and service warranty are both 1 year. Overseas branch office good service are available. 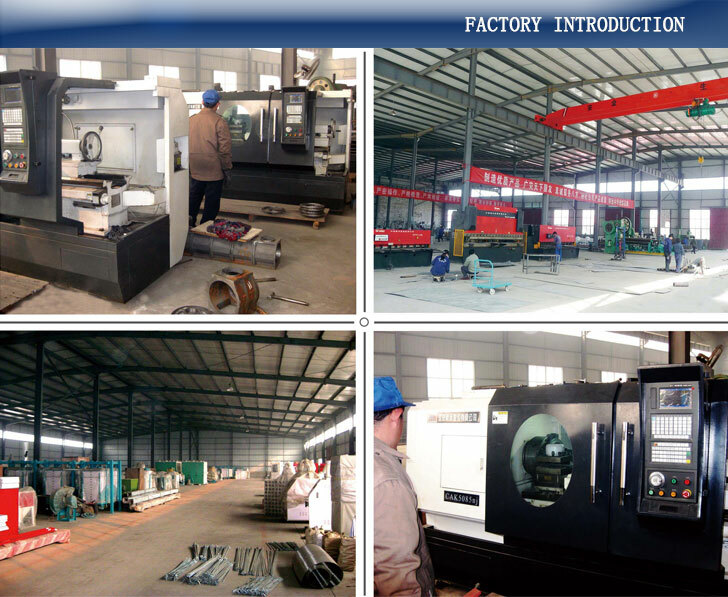 Our Chinese experienced and professional engineers guide installation and teach located workers how to operate the machine.